Starting a new "week in photo's" type of post, I always see these on other's blogs and I wanted to share in it! 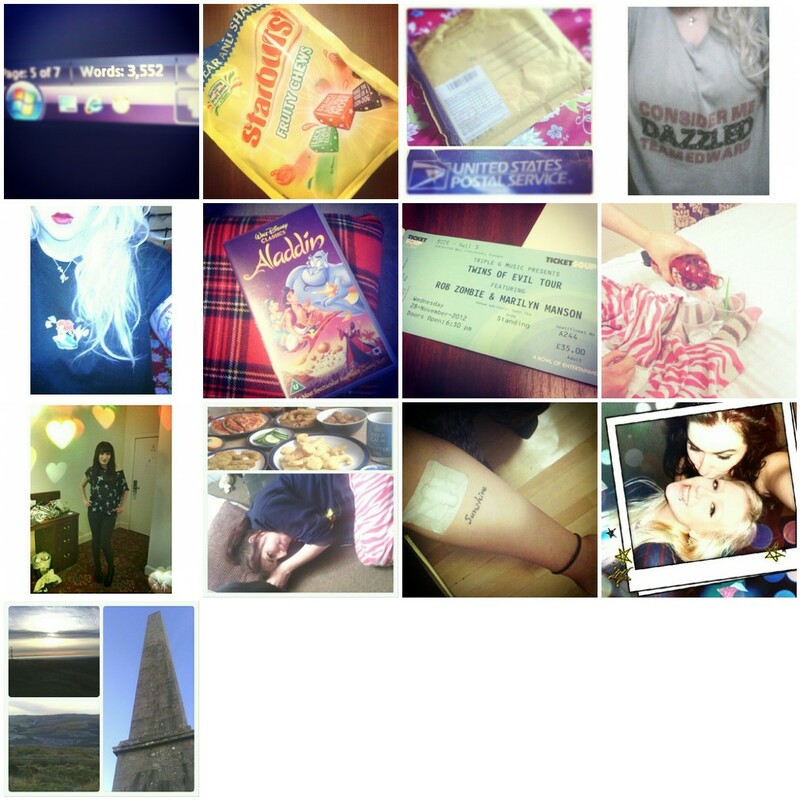 So here is my week via my Instagram feed! Hope you like! Drafting my dissertation, mid-study treats, exciting post, Edward Cullen - Yes - I own this t-shirt! (to sleep in...), The Little Mermaid - Yes - I own this t-shirt too - though it's not for sleeping! :), Watched while getting ready to go away for the night, Marilyn Manson for best friends birthday, Hotel drinking - Raspberry Absolut is heaven-sent, Said best friend preparing to celebrate her 22nd, Birthday buffet and resulting food coma, Gave blood, One year ago - feeling nostalgic, Walked to the top of a rather large hill in Scotland to top off the celebrations.